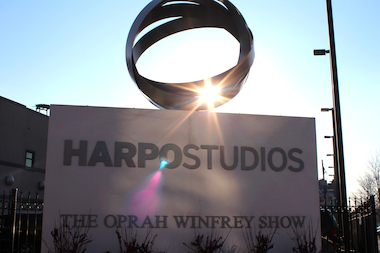 Oprah's Harpo Studios put the West Loop on the map, but Google could make the neighborhood Chicago's technology/foodie hub. WEST LOOP — For better or worse, neighborhoods change. And the West Loop — once equal parts meat-packing district, light manufacturing hub and skid row slum — has slowly transformed into a gritty enclave with geek-chic allure for green-economy entrepreneurs, foodie tourists and tech-sector powerhouses. Some folks argue none of that would have been possible if not for Oprah Winfrey, who set up Harpo Studios amid the West Loop shadows frequented by prostitutes, junkies and con men in the late '80s. "Oprah helped define the neighborhood. She put it on the map. Sometimes when I go jogging, people ask me to stop to take a picture of them in front of the Harpo sign," said Ald. Walter Burnett (27th). "It's a safe and cool area, and she was an early pioneer. We're grateful to her." But now the pending $32 million sale of the Harpo Studio campus begins a two-year phaseout that will cut Oprah's final tie to the neighborhood she helped gentrify — and symbolically her connection to the city itself. But unlike the death of South Side steel mills, there's limited downside to Oprah's departure. Already, her old neighborhood is well on its way to becoming Chicago's predominant hub for the technology sector — which many people hope can replace good-paying jobs that have disappeared along with so many mills and manufacturing plants. This post-Oprah West Loop revival will be spawned by Google — a cultural icon even more influential than a TV diva who set up shop in the neighborhood. Twitter's coming, too. The social media company recently announced plans to move from its advertising offices in the Loop to 111 N. Canal St. And there's LinkedIn, which has had a West Loop office since 2008, according to Crain's Chicago Business. "Google is bringing a lot of business, and really, a big name to the neighborhood," said neighborhood booster Martha Goldstein, executive director of the West Loop Community Organization. "It's the technology age, and we are becoming an information technology neighborhood." And more than that really. Burnett said that the once-struggling West Loop is a "big boy" now that's attracting so much interest that the neighborhood is well on its way to feeling like trendier parts of New York City. The investment group behind Nobu — actor Robert De Niro's fancy Japanese restaurant in Tribeca — has already started to seek zoning variances to build a boutique hotel and restaurant at Peoria and Randolph streets to open in 2016, Burnett said. 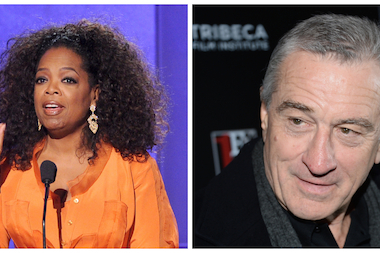 As Oprah sells Harpo Studios and makes plans to leave the West Loop in two years, actor Robert De Niro announces plans to open a hotel and restaurant in the 'hood in 2016. "We're hoping everything goes through. There's challenges with parking and how the community accepts the height of the hotel, but it's exciting," Burnett said. "I've already asked if Robert De Niro would come to a community meeting to talk about it. I think he sat down with the mayor last week." Plus, Soho House, a boutique hotel chain that caters to the stars, has plans to open up a hotel in the West Loop with a private club and four restaurants, Burnett said. "There's so many things happening there, and it's just going to keep moving," the alderman said. "With Google here, everyone wants to come. They're trying to buy real estate and move West." In the next few years folks should expect to see more restaurants join the West Loop's already impressive lineup — including Girl and the Goat, Publican, Next, Blackbird and Avec, to name a few — along with more retail stores, Goldstein said. "We're going to be a destination for everyone," she said. "It's becoming more a destination for tourists, but it's already a great residential neighborhood. And developers are looking for more land to purchase. … What you see happening now is the West Loop becoming a more complete neighborhood." But it's not Oprah's 'hood anymore. 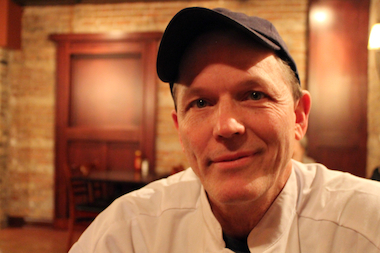 Restaurateur Joel Nickson, who opened Wishbone shortly after Harpo Studios moved to the West Loop, will tell you that blessing just might be a curse. "I'm glad to see Google. That's big; they've got more money than Oprah," Nickson said. "But the downside for me is my landlord is already saying, ‘Oh, Google' this and that … and chomping at the bit for the rent increases to keep coming, which is going to make it harder for me. So there's a good side and a bad side. "It's the end of an era. You've gotta just keep looking ahead." Oprah's Harpo studios brought Joel Nickson, owner of Wishbone restaurant, great success. But in a post-Oprah West Loop, his restaurant's rent could price him out of the neighborhood, which once was home to skid row instead of restaurant row.